Strange but true, it’s happened to The Outlaw Cigar Company. It won the “Community Business of the Year” for Kansas City as part of the 18th annual Job Development Awards program of the Platte County Economic Development Council. Owner Kendall Culbertson has had a busy year, spending months working with the Kansas City Council to carve out an exemption for smokeshops after a voter-approved ban was adopted in April. After a series of hearings and plenty of behind-the-scenes discussions, the Council approved an amendment to the ban by a 10-1 margin in September, allowing smoking in establishments which derive 80% or more of their revenues from smoking-related items. On October 30, Culbertson and his customers and staff members stopped a carjacking-in-progress next to the store. A female cigar company sales representative was attacked by an 18-year-old man in the adjacent parking lot but about 15 people surrounded the car and the attacker was restrained until the police could arrive. Although the attacker didn’t know it, Outlaw is one of the worst places to try such a thing since much of its clientele is from law enforcement or the military! 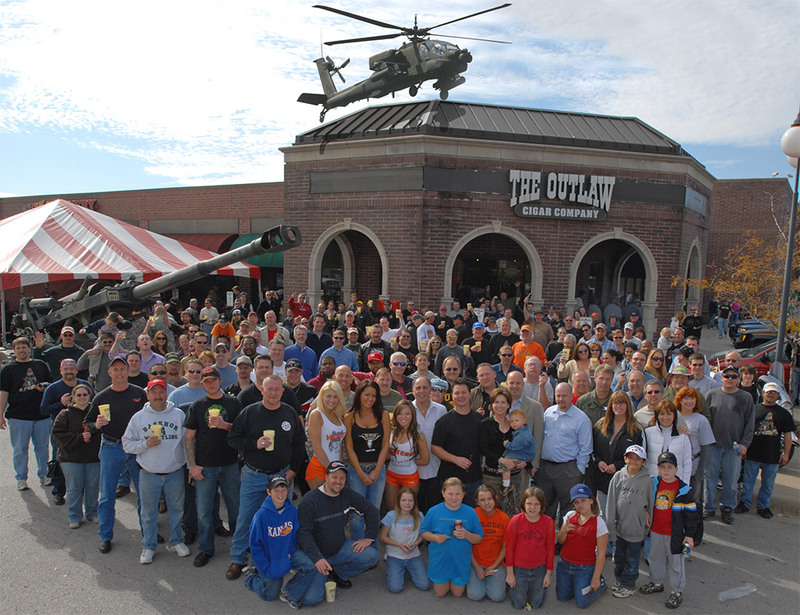 “Ironically, Outlaw was nominated by the very same Kansas City Council Members that worked with us/against us to amend the smoking ban that previously prevented us from legally smoking in The Outlaw,” he noted. He’s right about that. Culbertson has made it a policy to invite City Council members and staff members interested in cigars to his monthly mega-parties, always with a “cigar star” on hand in addition to food, music and usually some kind of military hardware from a nearby base. His next showcase stars MATASA founder Manuel Quesada on January 24; no word yet on whether an Apache attack helicopter or an Abrams M1-A2 tank will be on hand to greet him.